When you are striving for the last, tiniest nuance of musical detail, the uninhibited full-range dynamics and explosive impact of a great crescendo, every little bit counts. Odin moves you closer to the music, closer to the performers than ever before. The Odin Supreme Reference Interconnect uses eight revolutionary Total Signal Control (TSC) tubes – each carrying a 23 AWG Dual Mono-Filament conductor with 85 microns of extruded silver over 99.99999% oxygen free copper. The eight conductors are precisely wound in a spiral pattern around a central spacer, which contains two extruded silver over OFC drain wires to create a cable of unprecedented consistency and geometrical precision, perfect shielding yet manageable flexibility. 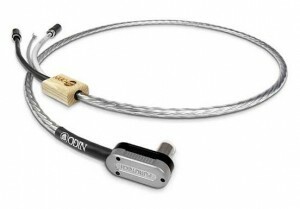 The ODIN Interconnect cables are offered with a special oversize 10 mm WBT NEXTGEN silver-plated copper RCA connector or, for balanced operation, a specially machined silver-plated Furutech XLR connector. These connectors offer a low-mass design that reduces eddy currents and produces the best available interface and impedance matching between the cable and the attached components. Digital signal transfer is an exacting task that benefits from all the considerations that affect analog signals, but with the added concern of precisely defined termination standards. Correct digital data transmission demands purpose built cable solutions with dedicated conductors and impedance-matched termination. The 75 Ohm S/PDIF transfer standard requires a single, co-axial conductor, using properly configured 75 Ohm connectors in order to avoid serious signal degradation. 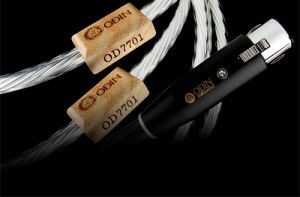 The Odin 75 Ohm digital lead employs a unique, massively oversized Dual Micro Mono-Filament construction, wrapped in a Total Signal Control (TSC), virtual solidshield, ensuring the superb geometrical accuracy demanded by a constant impedance conductor, combined with flexibility and the complete shielding delivered by a tubular shield construction. The choice of Silver NextGen RCA or Furatech Rhodium BNC connectors ensures that the supremely accurate transmission performance of the cable isn’t compromised by its termination, delivering digital data integrity to match the analog performance of the other Odin cables. The Odin 110 Ohm digital lead corresponds precisely to the AES/EBU standard, two purpose built Total Signal Control (TSC) tubes delivering â€œvirtual solidâ€ shielding to the Dual Micro Mono-Filament, silver-plated solid-core conductors. The twisted construction and FEP insulation keep the cable conveniently flexible whilst guaranteeing superior dielectric performance and geometrical consistency. Two independent earth wires maintain the integrity of the balanced grounding configuration, ensuring common mode rejection of spurious noise, while the professional grade XLR connectors maintain constant impedance across the cable termination, maintaining the Odin’s accuracy in this demanding and critical application. The Odin Supreme Reference Loudspeaker Cable is terminated with Nordost rhodium-plated, beryllium copper, low-mass Z plugs. 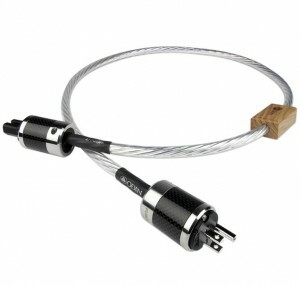 These low mass connectors offer the very best interface and impedance matching between the cable and the attached components. Odin is also available with special rhodium plated Furutech spade connectors. 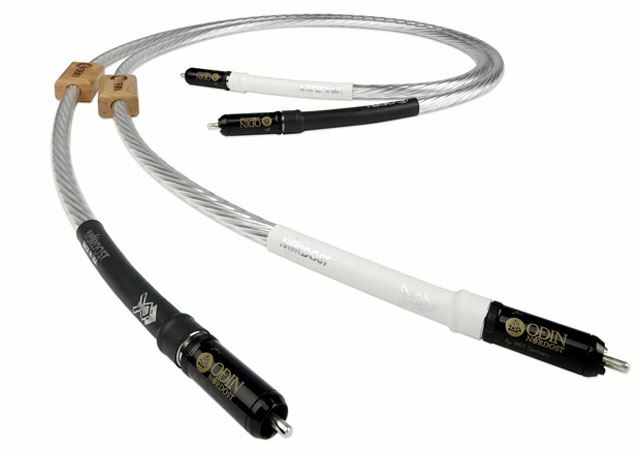 Odin Supreme Reference Loudspeaker Cable is terminated for Bi-Wire as standard but may be ordered in Shotgun or Bi-amp configurations. The Odin Power Cord applies Nordost’s latest TSC (Total Signal Control) technology to significantly advance the audio performance AC wiring. 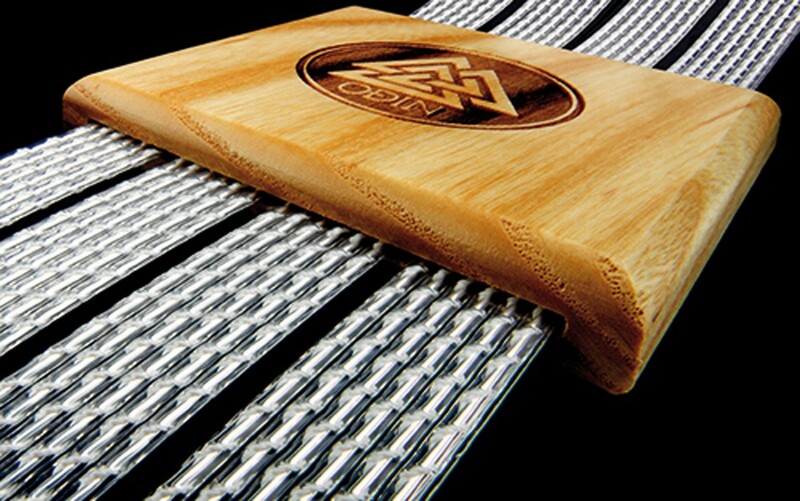 It uses six close tolerance 16AWG, 99.99999% oxygen free copper conductors, each covered by an 85 micron layer of extruded silver, suspended in a dual micro mono-filament matrix and enclosed in the TSC shield. The result is a new level of power transmission efficiency coupled to superb mechanical damping and rejection of external RFI/EM interference. The separate, solid-core conductors eliminate strand interaction, hot spots and other artifacts that can degrade performance, while the extreme precision with which the TSC tubes are manufactured and arranged ensures complete consistency in performance. Let Odin feed your system and get ready for improved noise floor and resolution, increased transparency, dynamic range and freedom from grain, more believable sound staging, more natural life and musical dynamics, a breathtaking range of tonal colours. Suddenly the music will step away from the system producing it, taking on a life of its own, becoming a real performance â€“ all because the power on which your system depends is cleaner and arriving quicker. The tiny signal levels produced by todays high-quality phono cartridges (often with an output around 1000 times smaller than a typical CD player) require special handling if their superb but fragile musical qualities are not to suffer irreparable damage. The capacitance of the leads used to transfer these signals is particularly critical, requiring a dedicated cable solution if the full majesty of what remains the high-end two-channel source of choice for many listeners, is to deliver its full, musical potential. After all, why go to so much effort reading every last squiggle in an LPs grooves if you are just going to lose that information in your tonearm wiring?The Odin Tonearm Lead employs four of Nordosts Total Signal Control (TSC) tubes, wrapped round a dedicated earth wire. Specifically dimensioned for optimum performance with low signal levels, the silver-plated solid-core conductors are suspended in a Dual Micro Mono-Filament FEP helix, creating a virtual-air dielectric for minimal signal loss, while the TSC shielding provides the best possible protection from external interference in an increasingly RF polluted environment. And dont just assume that because your tonearm is fitted with RCA output sockets that a conventional interconnect will be acceptable. This close to the front of the signal chain, any compromise is massively magnified, and using anything other than a dedicated tonearm lead between your record player and phono-stage is exactly that a serious compromise. With so many different connection options available on top-of-the-line tonearms, the Odin Tonearm Lead is available in a wide variety of terminations and configurations. Standard options include straight and right-angled entry IEJ type 5-pin connectors and WBT Silver NextGen RCA plugs, while the connections to the phono-stage are also via WBT Silver NextGens. Balanced configuration and other tonearm terminations are available to special order depending on connector availability. 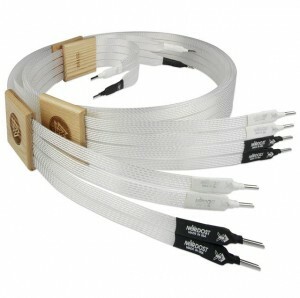 The leads are supplied as 1.25m lengths as standard, but other lengths can also be ordered.